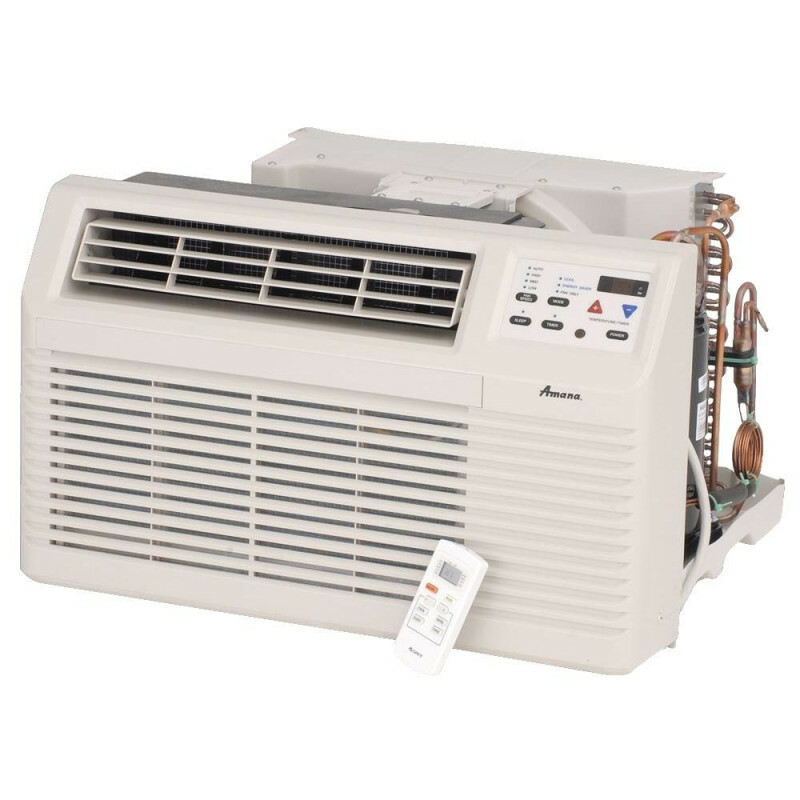 This premium line of Amana TTWs comes in a range of Btus to suit your specific needs: The 7,000 Btu version will handle areas up to 300 square feet at an EER of 10.4. 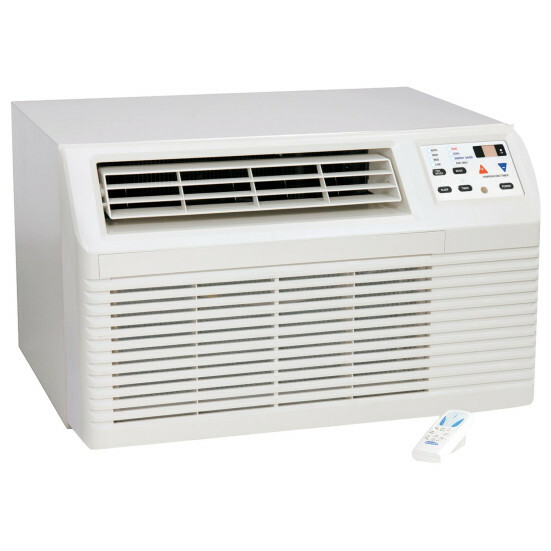 The 9,000 Btu version will handle areas up to 400 square feet at an EER of 9.7. The 11,000 Btu version will handle areas up to 525 square feet at an EER of 9.7. Regardless of which is best for you, they all cover a host of next-level features. Two distinct fan speeds mean guests can pick their ideal rate as well as temperature, and the electronic touch pad is as convenient as it is intuitive. Selecting options couldn't be easier. Even from a distance, Amana puts total control in guests' hands with a fully functional remote included. These TTWs are designed for quiet operation. Guests can relax in a comfortable atmosphere without any undue noise intruding on their peace. On your end, maintaining each unit is as simple as taking out six easy-access screws to remove the condenser top. By providing such a quick route to cleaning the outdoor coils, Amana helps you lengthen the lifespan of the compressor. Other system-sealed components will benefit as well. The filter slides out in a jiffy for a quick wash. It doesn't take much to wipe the permanent polypropylene mesh down and have it ready for action again. Efficiency will improve noticeably--as will the lifespan. Amana sees to it that all their units get a full range of thorough tests before leaving the factory. From day one, every TTW will be ready for action. Need some more assurance? No problem! Premier product safety organization UL (formerly Underwriters Laboratories) certifies every unit in both the USA and Canada. With this excellent line of TTWs, you and your guests can kick back and relax--Amana's already done the work for you.